Sofia in Bulgaria, one of the oldest inhabited places in Europe, is located in the middle of Balkan peninsula and it is a very nice and welcoming city. 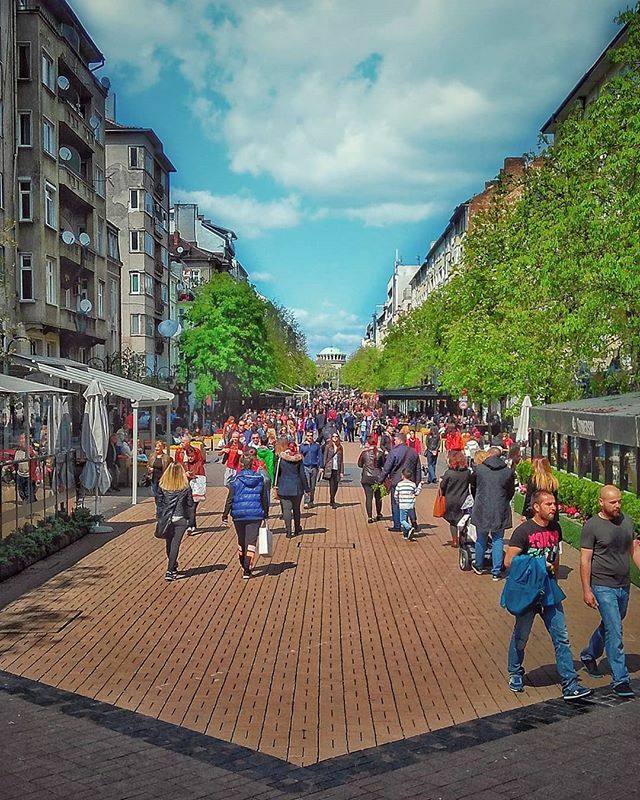 Vitoshka is the busiest pedestrian street in the city and is considered to be the trade center of Sofia. If you happen to walk to Vitoshka on a spring Sunday don't forget to sit and enjoy an iced coffee. If you are Greek you will be lucky because they also serve frappe.